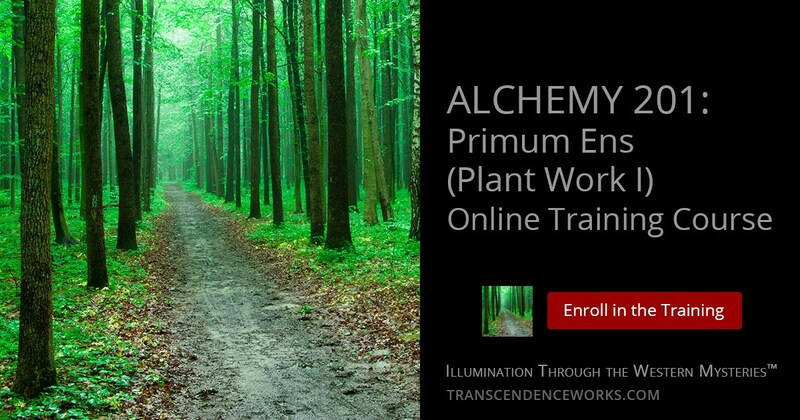 Primum Ens Plant Alchemy Training | Transcendence Works! Those interested should read Why Learn Real Alchemy on a Magical Path? prior to enrolling. This comprehensive course covers all facets of the practical work through detailed modules with 23 in-depth instructional discussion videos, step-by-step instructions for each process, and 84 photos of processes and procedures. Everything is fully explained, from the pros and cons of different equipment choices and procedures with links to sources for the exact equipment, all the way through learning both the “Aethyrius Paste Method” as well as full instructions for the more traditional method upon which the paste method is principally based. In addition to the overall general requirements for private training, there are some specific individual requirements for entry into Primum Ens Alchemy Training due to the nature of the process. Must be at least 21 years of age if in the US, or of legal age to use alcohol in a foreign jurisdiction of residence. Must agree not to attempt to teach the process learned here to others. If they are interested, they should enroll here for comprehensive training. Must agree that the quintessences they learn to create here as sacraments are for personal/family use only. While the tuition for this complete online training course is only $300 for lifetime access, the total outlay one may expect for equipment and materials can range from as little as $400 to $900, based upon personal choices for equipment, what US state or country in which you reside (this mostly relates to accessibility and choices made regarding the alcohol used for extraction), and how you grow or obtain fresh plant materials. Though these costs for equipment and materials can be spread out over time because the work can be done incrementally, this is the financial reality of beginning real work to obtain true quintessences from the plant kingdom for yourself. These Sacramental Quintessences created through the alchemical Ens process taught here are official sacraments of Ordo Aethyrium. Though those sacraments will be offered online as they are able, they will only be available on a very limited basis due to time and resources. Learning to make them is part of the curriculum for members of Ordo Aethyrium as a working initiatory magical religious order, but as a part of the Plant Alchemy Project™ sponsored by Aethyrius as the Overseer it is a valuable tool open for anyone working within other paths or traditions of the Western Mysteries to be able to obtain true quintessences from the plant kingdom.